When one thinks of Remembrance Day poems and Memorial Day poppy poems it is the words to In Flanders Fields poem by John McCrae that comes to mind. The In Flanders Fields poem is the world’s most recognized and beloved of all war memorial and Remembrance day poems. It was written on May 3, 1915 by Lieutenant Colonel John McCrae during WWI, while still at the battlefront during the Second Battle of Ypres in Belgium. 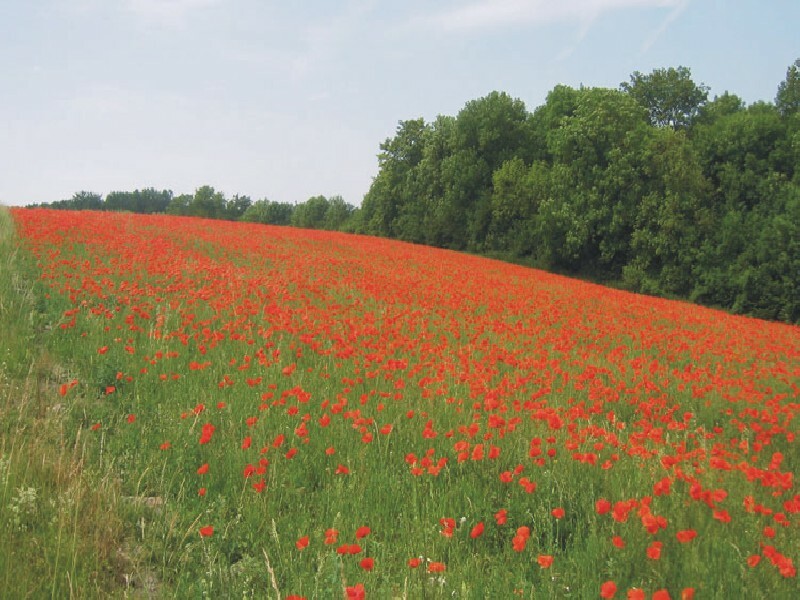 Start this lesson by introducing students to the Flanders Fields song, a CD music recording of In Flanders Fields poem, and review the text in Data Sheet #1B. This lesson will introduce the story behind the creation of In Flanders Fields poem, the world’s most recognized war memorial poem. Students will review historical data, people and events that inspired John McCrae to compose the poem. They will also explore the poem’s popularity and compare how post-war use of the poem differed from its use during WWI. 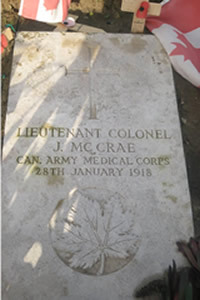 Canadian physician Lieutenant Colonel John McCrae wrote the In Flanders Fields poem on May 3, 1915 while still at the battlefront during the Second Battle of Ypres in WWI. Read the In Flanders Fields poem and share the “Data Sheet #1B” essay information with your students. Explore the events leading up to May 3, 1915. Explain what sort of affect working for “17 days” non-stop and the death of McCrae’s close friend Alexis Helmer must have had on McCrae’s physical and mental well-being. What do you suspect John McCrae must have been thinking as he wrote the poem? Who is McCrae writing about in the poem? What message is McCrae trying to convey with the poem? Students should explore these and other questions.